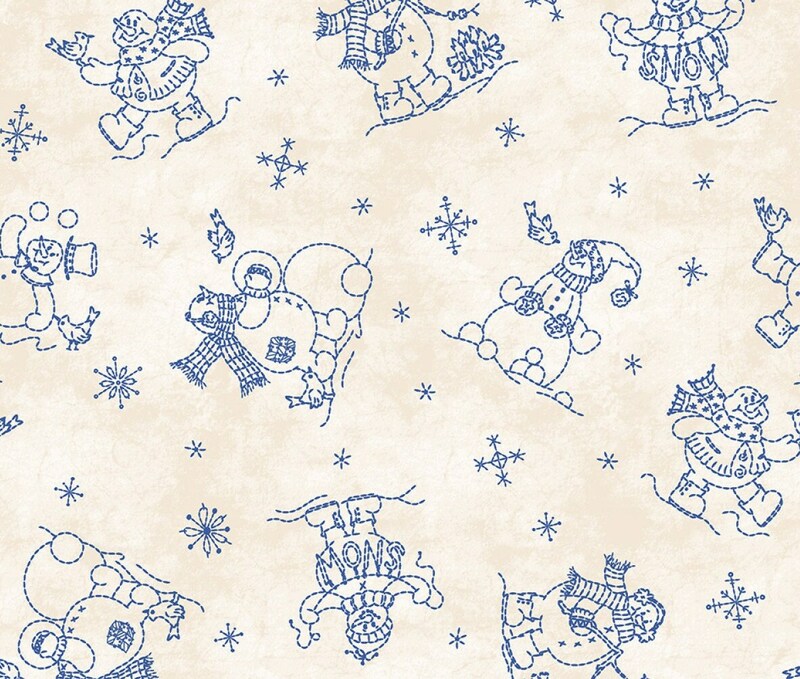 Such adorable Roly-Poly Snowmen to add to your holiday/Christmas quilt or home decorating projects for the holiday season. 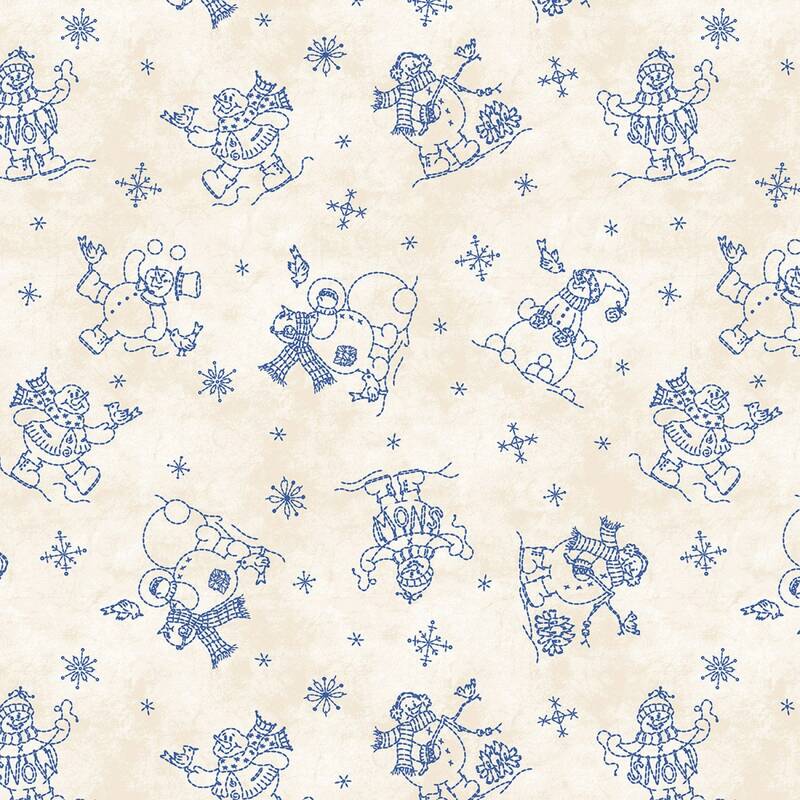 These delightful snowmen in a wonderful shade of blue are having so much fun on a background of natural cotton fabric. 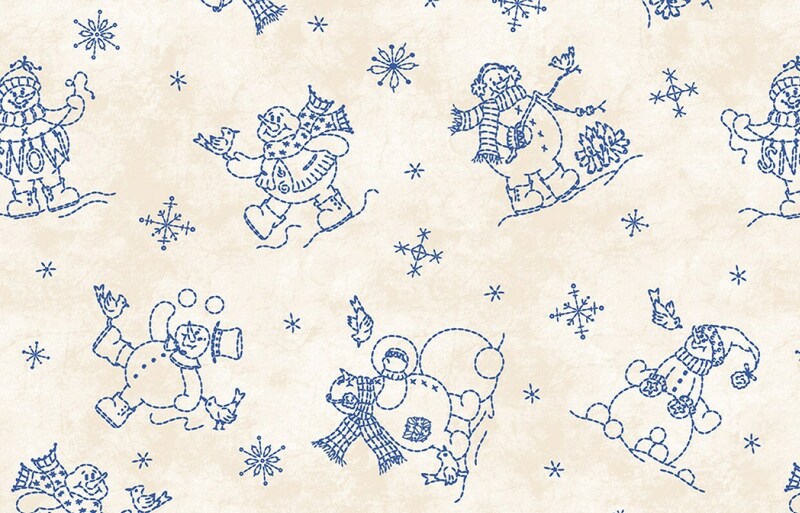 A quality print from Maywood Studios is sure to lighten and brighten up your holiday quilting projects. I really love these snowmen and they came with a wonderful price. Really fast shipping, and an excellent, most helpful shop owner!! Repeat buyer!